On Sunday, April 7, from 9:45 to 10:45 a.m., children who have not yet participated in the Sacrament of Communion and their grown-ups are invited to attend a special class where we learn about Communion and what it means. 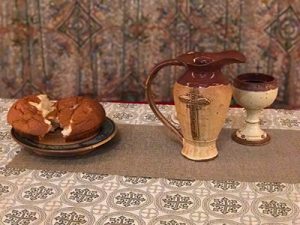 This opportunity is offered on a Communion Sunday, so the children will be able to participate in Communion during worship at 11:00 a.m. A light breakfast will be served in the Parish Hall. Please RSVP to Ellen Allston, Director of Christian Education for Children’s Ministry.